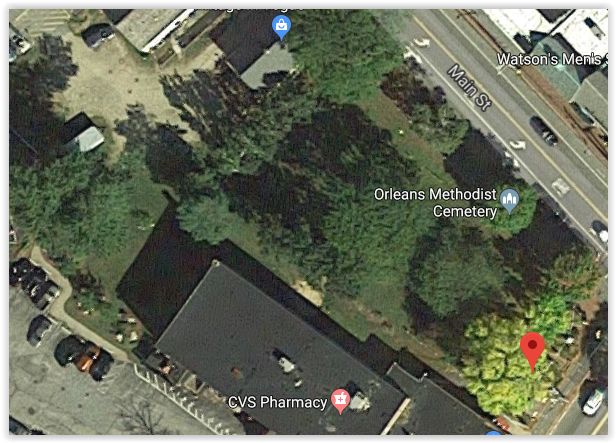 Also known as Orleans Cemetery, Old Cemetery. 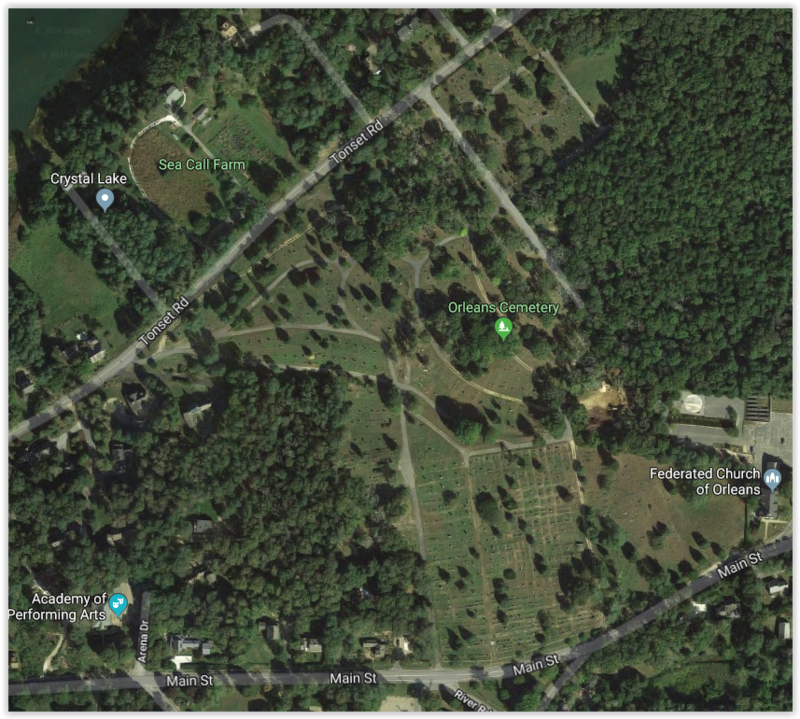 (Online map may redirect "Old Cemetery" to view "Ancient Cemetery"...which is a different cemetery.) Pedestrian entry only from Cranberry Hwy. (Old Kings Hwy.) at intersection with Main St. 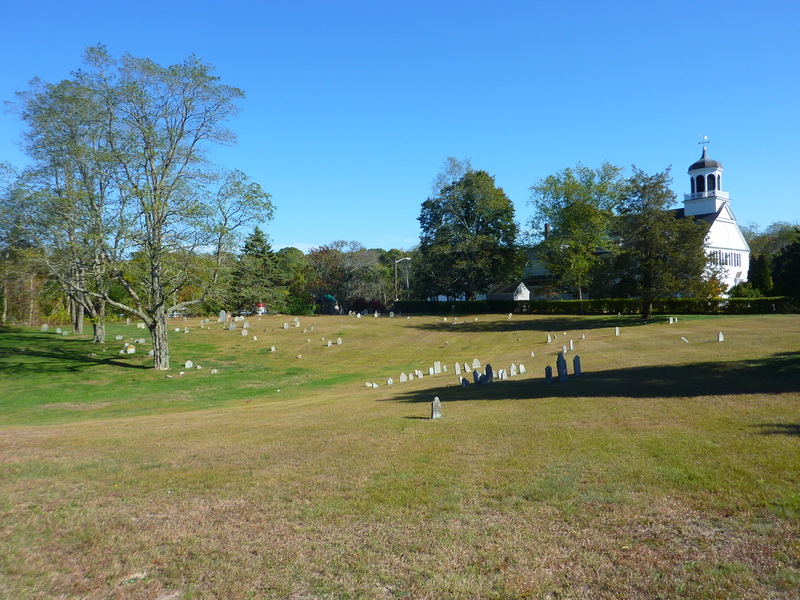 This cemetery has two very separated sections. The OLDER SECTION is downtown at Main St. (and is represented by the primary coordinates given). The NEWER SECTION is found on Tonset Rd. 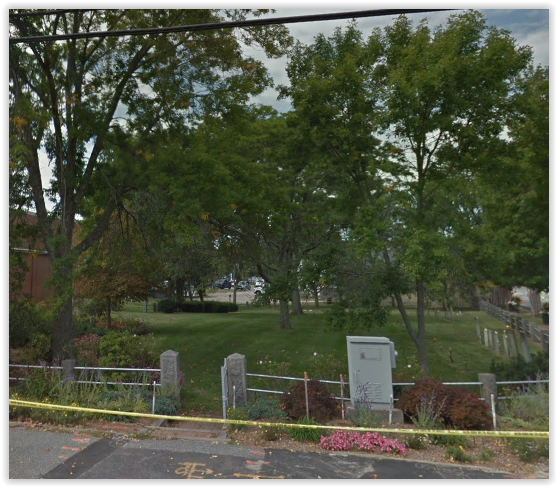 and is also on Main St. by Federated Church of Orleans, adjacent to Town Cove, Orleans waterway. This section is large and more easily accessible by vehicle, etc. From the older section, you would drive east on Main St. and turn left on Tonset Rd. for a total distance of about 0.8 miles.